It's that time of year again but we’ve changed the format. 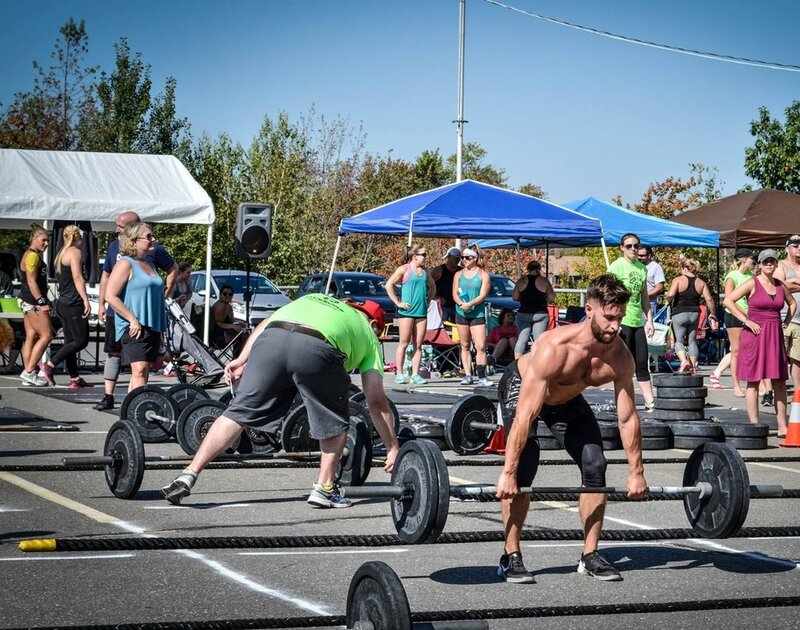 It will be a Co-Ed Partner competition with an Rx, Scaled and Masters division for athletes 40 and older. Come enjoy our spacious and accomodating facility with workouts both IN and OUTSIDE the box. Join us for our third annual Battle on Broadway Sunday, August 19th. Athlete check-in will start at 7:30-8:00am and our first workout will kickoff at 9:00 am sharp. We'll have an athlete briefing at 8:30 am. If you participated last year, thanks for coming back! We hope to make this year even more enjoyable. Please feel free to bring tents and coolers as we have plenty of indoor and outdoor space to enjoy the day. Videos/descriptions of the workouts will be released prior to the day of the competition and division standards will be posted soon. *You must register before August 1st to ensure a t-shirt. We look forward to having you at our box. Feel free to message us if you have any questions regarding the event. Follow our page on Facebook to stay up to date on event details! Workouts may or may not include some of the movements listed below. We’ll be incorporating various elements of Bear Crawl Park (our outdoor obstacle course located at our facility!) as well as some odd object movements to make things more interesting. The workouts may also include other movements not listed, but you should be somewhat comfortable with the following. We look forward to having you at our one of a kind facility. Come put your fitness to the test and have some fun while you do it!